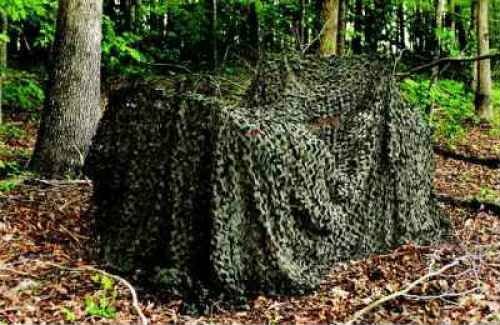 CamoSystems Pro Series military netting it is made from high quality Rip-stop fabric. It feature has Rot/mold resistant. Reversible color combinations. 3-D Leaf like foliage. Treated to eliminate shine and glare. Pliable in extreme temperature ranges. Compacts easily. Quiet and rustle free. Attached to tough mesh for added strength. Fire retardant treatment, exceeds California title 19, sec. 1287. UV treated. 100 percent waterproof materials, will not become heavy and waterlogged. It is available in Green/Brown color and it measures 236-inches length by 118-inches width.